Maryland drivers, prepare to move over. This past October, state legislators expanded the existing ‘Move Over’ law to include more than just emergency response and law enforcement vehicles, and motorists should be prepared to avoid hefty fines and unnecessary traffic accidents. 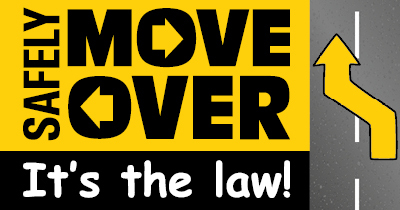 Maryland’s Move Over law first went into effect back in 2010 to protect police officers stopped on the side of the highway. In 2014, the law was expanded to include moving over for emergency vehicles and tow trucks. Now, the law has expanded again to help protect the lives of more hardworking Americans on our roads. Starting on October 1st, the Move Over law now also protects waste and recycling trucks, service vehicles, and utility vehicles. These workers are in just as much danger on the side of the road as emergency and law enforcement vehicles and now they finally have the protections they deserve. In January of 2017, a garbage truck employee in Prince George’s County, Marcus Colbert, was struck and killed on the side of the road while on the job. The worker was riding on the back of the garbage truck when an SUV struck a parked car and then crashed into the back of the garbage truck, crushing and killing Colbert instantly- unfortunately, this is not the only case. Eddie Gilyard, killed in November 2013 while working on the shoulder of I-695 near Belair Road in Baltimore County. Rick Moser, who was struck and killed along a I-270 ramp in 2007. Erick Meekins, killed in June 2013 while setting up cones on Route 216 near Route 29 in Howard County. The Federal Highway Administration (FHWA) reported 96,626 crashed in work zones back in 2015, resulting in 25,485 injuries and 642 fatalities. The expansion of the Move Over law hopes to reduce these accidents from occurring in Maryland, allowing workers to feel protected on the job and to return home safely to their families at the end of the day. Move over a lane if encountering an emergency, law enforcement or other work vehicle stopped on the side of the road. Move over safely not to impede other traffic. Slow down to a reasonable speed or gradually stop if there is no other lane to move over to. In addition to fines and points, Maryland is a ‘fault’ state when it comes to car insurance, meaning drivers would be financially responsible for any damages occurring as a result of the crash. When in doubt, move over and slow down for vehicles stopped on the roadside. If any vehicles are pulled over, there is a good reason, and motorists should assume these drivers are out of their cars where they could be in extreme danger if struck by a vehicle. If you or a loved one has sustained a serious injury due to a vehicle accident, contact D’Amore Law today for a free consultation and explore your options for seeking justice for any damages endured from your accident.